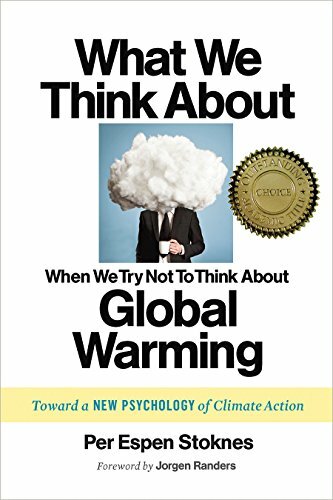 What We Think about When We Try Not to Think about Global Warming: Toward a New Psychology of Climate Action par Per Espen Stoknes est disponible au téléchargement en format PDF et EPUB. Ici, vous pouvez accéder à des millions de livres. Tous les livres disponibles pour lire en ligne et télécharger sans avoir à payer plus. Why does knowing more mean believing and doing less? A prescription for change The more facts that pile up about global warming, the greater the resistance to them grows, making it harder to enact measures to reduce greenhouse gas emissions and prepare communities for the inevitable change ahead. It is a catch-22 that starts, says psychologist and economist Per Espen Stoknes, from an inadequate understanding of the way most humans think, act, and live in the world around them. With dozens of examples from the private sector to government agencies Stoknes shows how to retell the story of climate change and, at the same time, create positive, meaningful actions that can be supported even by deniers. In What We Think About When We Try Not To Think About Global Warming, Stoknes not only masterfully identifies the five main psychological barriers to climate action, but addresses them with five strategies for how to talk about global warming in a way that creates action and solutions, not further inaction and despair. These strategies work with, rather than against, human nature. They are social, positive, and simple making climate-friendly behaviors easy and convenient. They are also story-based, to help add meaning and create community, and include the use of signals, or indicators, to gauge feedback and be constantly responsive. Whether you are working on the front lines of the climate issue, immersed in the science, trying to make policy or educate the public, or just an average person trying to make sense of the cognitive dissonance or grapple with frustration over this looming issue, What We Think About When We Try Not To Think About Global Warming moves beyond the psychological barriers that block progress and opens new doorways to social and personal transformation." "Stoknes (a psychologist, economist, and entrepreneur based in Norway) does not explain climate change. Rather, he illuminates barriers that prevent solving problems caused by increasing global temperatures while simultaneously giving a clear strategy to overcome these hurdles. The book's three parts--'Thinking: Understanding the Climate Paradox, ' 'Doing: If It Doesn't Work, Do Something Else, ' 'Being: Inside the Living Air'--examine how people think about climate, what individuals can do to affect climate, and how one relates to environment. Each is well researched and insightful and offers powerful proposals. Stoknes explains why so many people have laissez-faire attitudes to dire predictions from the scientific community, and he reveals tactics employed by those wishing to conduct business as usual. He poses a clear blueprint for new ways to engage in global climate discussions. This reviewer notices that many journalists are adopting Stoknes' designs--evidently his ideas are becoming mainstream. Although he successfully addresses the climate issue, it is clear that Stoknes has something bigger in mind as he expertly describes contemporary human relationships with the natural world and offers hope for a revitalized ecological link. This book will initiate a paradigm shift in thinking about and discussing climate change. Read it soon. Summing Up Essential. All readers." "Norwegian psychologist and economist Stoknes (Money and Soul) has produced a work about the psychological effects of global warming messages. While accepting dire facts and projections put forth by scientists, the author argues that their usual type of presentation is counterproductive. Providing audiences with abstract but scary information requiring sacrifice has produced apathy and denial among citizens of wealthy nations, the author says. Stoknes notes that there are social barriers against discussing the situation, and it can be politically divisive. However, ethics require all of us to find valid ways to combat climate disruption, he states, adding that we need to harness ancestral human drives to this task. Messaging needs to be simple, positive, and social to lead to mass behavioral change. The author commends movements such as Transition Town, which promotes community resilience and explains that the many inspiring stories about green innovation can help shift public attitudes over time. VERDICT: Stoknes has done a service for readers alarmed or concerned about global warming. He provides helpful strategies for accepting and dealing with their own reactions to the evidence, reducing carbon footprints, and influencing others to do likewise." Stoknes (Money and Soul), a Norwegian psychologist and economist, addresses the polarized American debate over anthropogenic climate change, observing how it has devolved into 'a deteriorating and desperate spiral.' In this earnest and well-organized volume, he introduces a new aspect to the discussion, focusing not on the phenomenon's causes or consequences, but people's responses to it, including how they think, what they do, and how they live in the world. Stoknes puts a cognitive-psychological spin on the matter at hand and differentiates among climate 'skeptics, ' 'contrarians, ' and 'deniers, ' distinguishing active and passive forms of denial. He also looks at evolutionary self-interest and the ways in which people can use social networks to further their goals. People like to believe their actions matter, he notes, and a solution is more likely to be implemented 'when people want it, like it, love it, ' not when they are guilted or shamed into it. The more people 'see happy others conserve energy ... the more they are inclined to support ambitious climate policies on local, state, and national levels.' Framing the argument in this manner, Stoknes effectively combines talk of social psychology with environmental activism." Per Espen Stoknes is a psychologist and an economist. An entrepreneur, he has cofounded clean-energy companies, and he spearheads the BI Norwegian Business School's executive program on green growth. He has previously worked both as a clinical and organizational psychologist and as an advisor in scenario planning to a wide range of major national and international businesses, government agencies, and nonprofit institutions. His research interests include climate and environmental strategies, economic psychology, and energy systems. Teaching areas include green growth, foresight and corporate strategy, behavioral economics and expressive arts. He has written three books, including Money and Soul. He lives in Oslo, Norway.